Relentless innovation, systematic process development, negotiation and analysis techniques. Unrivaled Common Unity-The Seed Team company culture is crafted by peers and partners. Corporate structuring, tax planning and a strategy that gets you further, faster. Marketing, branding, customer engagement and sales training. 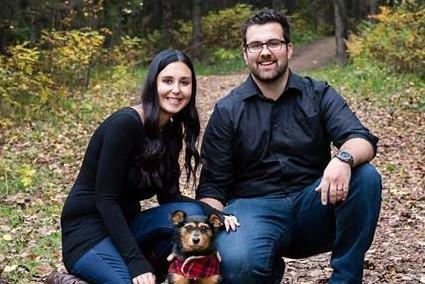 Seed Group is operated by Caleb and Jenna West who live in Sherwood Park, Alberta and an amazing team of innovative and dedicated management staff. Both Caleb and Jenna are professionals in the construction industry and have a family history of business and real estate. Pairing their skills of interior design, construction management and carpentry has enabled them to craft a unique company which got them back to their roots in small towns. Understanding the need for seniors housing with wheelchair friendly designs has been the focal point of their business and they are becoming known in the communities they are involved with. Their focus is multi-family acquisitions where they leverage their General Contracting experience to negotiate and secure assets that other may not see value in due to the market rate of labor. Working and crafting with creative finance options is a strong suit of Caleb West and Jennas precise and analytical characteristics keep Caleb grounded and on point. This paired along with the team of specialists, ensure that only the best properties are moved on that Caleb is able to find behind the scenes of listing sites. By growing smaller investors capital through residential flips and creative lending options for other investors and even tradesmen needing access to rapid payment, they have a pool or grateful clients. These increased capital amounts are then transitioned into multi-family purchases that are co-managed between the Seed Group and the partner who is mentored and trained to raise capital, manage assets and market the Seed Group abilities. Their other focus is providing clean, safe and affordable homes where seniors can live independently. Families gain confidence knowing their loved ones will not be uprooted when mobility changes later in life. Through this simple and repeatable build-to-suit rental business model, transitioning into retirement will be a breeze. Our “spec to rent” program allows those with mobility concerns the opportunity to extend their independence by having a bungalow style home built uniquely to meet their needs. Given the limited number of wheelchair accessible rentals in rural markets and the age of the population, we have a very deep tenant pool. In addition to providing a unique style of rental, we also focus on adding value to our tenants by providing information about retirement, government programs, tax, legal, wills, estate planning, health care, community programs and legislation that can benefit their futures. By doing this, we further our relationship and create a community with our tenants of trust, reliability and respect. Seed Builders also provides multifamily properties through limited partnerships and joint ventures which allow for great relationships and great projects to be built on. From commercial acquisitions, residential flips and construction management and consulting for new real estate investors we have an amazing team and the ability to help other understand themselves, their goals and how to get there. If you feel there is a value alignment with our team, please contact us at your leisure. Jenna West’s perseverance, work ethic and creativeness showcased in her 7 years plus career with an award-winning home builder stems from growing up within a family run business. Her dedication to providing insights into the design and staging of nearly 75 homes, which have been featured in publications and in-home builder awards, has resulted in career advancement and trust from her employers. Knowing that the desired and expected results are often not achieved in the 9 to 5 mentality, she is committed to seeing projects through and being proud of what she achieves. Her understanding of client care, productivity and delegation are a massive asset to Seed Builders. Taking her knowledge and experiences with suppliers, products and even seniors design and furniture selections allows Seed Builders to create the best designs possible. Her purposeful designs and understanding of senior’s needs allows for a space that is exactly what seniors will need as they grow into their retirement years. Caleb West was born and raised in Westlock, Alberta. He worked on numerous farms and ranches as well as on construction crews throughout his teenage years. In 2006, after graduation, he moved to Edmonton to pursue a career in construction. He started by framing homes for two years before taking on smaller projects in his off time. Caleb became self-employed at age 22, but ventured back into the management employee role to gain experience on the financial side of the business, as well as obtain his Journeyman Status. By taking courses in construction engineering, business management and contract law, his own understanding of the construction process has vastly improved and he is able to add value to his peers. Growing his business from 50K to well over 500K in a single year and then doubling again in the second, shows his attitude, aptitude and passion to building relationships that last and to cultivating new clients. His natural ability to be innovative makes people feel comfortable and confident as he delivers projects on budget and on time. His work ethic and diligence to learn and improve has been demonstrated through strong referrals from both previous clients and sub-trades who are always eager to work on his sites.